Stay sun safe outdoors at work – There is no escaping the fact that our Australian climate is a danger to our health if not treated with the correct skin protection and respect. However, more often than not we see work sites where workers outdoors are not protected from the suns harsh UV. In Australia and working onsite outdoors, workers are 5 – 10 times more sun exposure than working inside, resulting in a higher risk of skin damage and skin cancer. It is the responsibility of employees and employees to maintain a healthy working environment. WHS act NSW includes reducing the risk of sun damage and illnesses due to high levels of UV exposure. Taking appropriate Sun safety measures such as 50+ sun cream and UV protected hats and clothing that comply with other aspects of workplace safety are the key responsibilities of workers and their employers. Adequate water intake and hydration are also major factors in outdoor work over the hotter months. Health and safety legislation requires employers to take adequate action to provide and maintain a safe working environment. 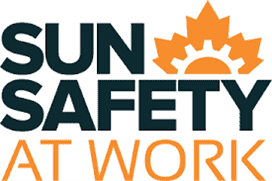 Remember, we live in one of the hottest climates on Earth and not taking Sun Exposure seriously can result in an unsafe work environment that can lead to health problems.